After a little thought, I have decided to designate Friday’s as our official postcard day. So… without further ado., I present to you the most recent postcard to grace our PO BOX with love and, well… a little bit of lust. 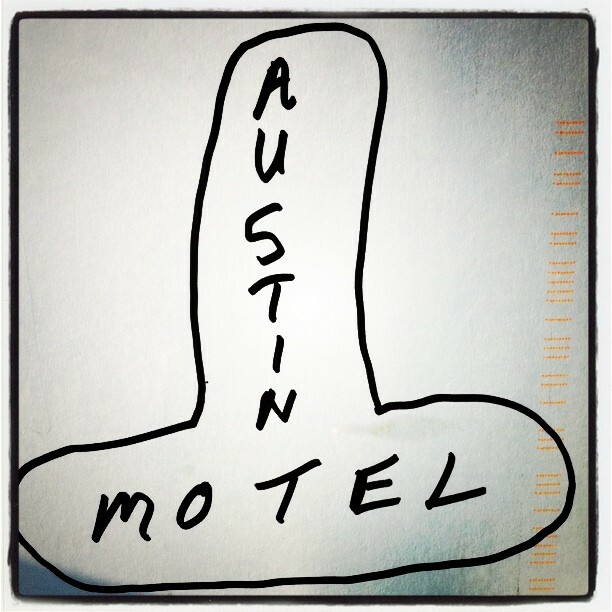 As I’ve previously mentioned, Austin’s own Austin Motel stands strong as an institution with it’s hard to miss sign, proudly displaying it’s local, steadfast history.